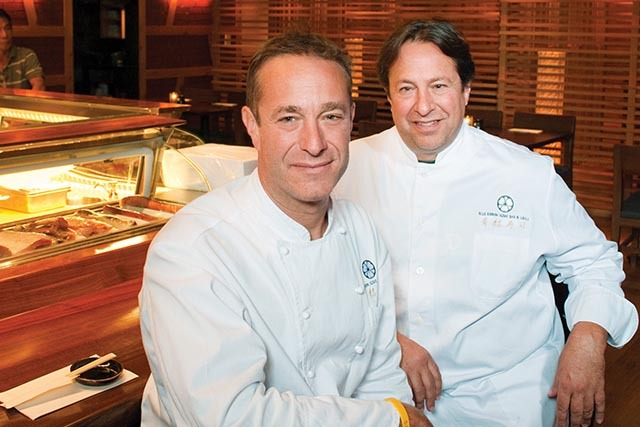 Brothers, chefs and restaurateurs, Bruce and Eric Bromberg, have been guiding forces in the culinary world for over twenty years, most notably as the founders of Blue Ribbon Restaurants. The brothers have established themselves as renaissance men of the restaurant industry in New York City and beyond, expanding their restaurant empire to Los Angeles, Miami, and Las Vegas over the last two decades. Their passion for the culinary world was sparked by trips to Provence, France as children which inspired both to attend and excelled at the prestigious Le Cordon Bleu in Paris. After honing their skills at some top establishments in New York and Paris, the brothers opened the original Blue Ribbon Brasserie in 1992. Blue Ribbon changed the culinary landscape and culture in NYC and spawned what is now an empire for the brothers Bromberg. 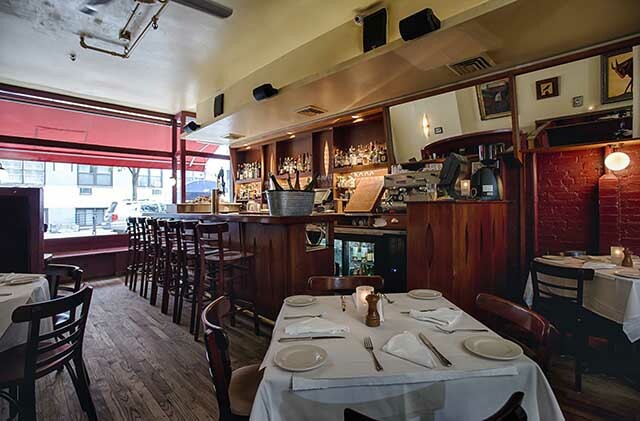 After honing their skills in the restaurants of France and New York, the Bromberg Brothers opened together, with a dedicated cadre of friends and colleagues who still make up the core of the Blue Ribbon team today, a restaurant where they would want to not only eat but one in which they wanted to work – the original Blue Ribbon Brasserie in 1992 on Sullivan Street in Manhattan. Blue Ribbon introduced a new wave of dining with an eclectic range of food and a casual atmosphere that became an industry meeting ground for chefs and gourmands alike. They have since become cornerstones of the New York City restaurant scene, and have been able to apply that success to culinary markets both abroad and domestic. Continuing to expand in different directions, their roster of concepts showcases their ability to master many cuisines. Today, the Bromberg brothers oversee 19 properties in New York City, Los Angeles, Las Vegas, and Miami, including: Blue Ribbon Brasserie, Blue Ribbon Brooklyn, Blue Ribbon Downing Street Bar, Blue Ribbon Hi-Bar, Blue Ribbon Sushi, Blue Ribbon Sushi Izakaya, Blue Ribbon Sushi Bar, Blue Ribbon Sushi Bar & Grill, Blue Ribbon Sushi Bar & Grill Los Angeles, Blue Ribbon Sushi Bar & Grill South Beach, Blue Ribbon Fried Chicken, Blue Ribbon Fried Chicken Downtown Summerlin, Brooklyn Bowl Brooklyn, Brooklyn Bowl Las Vegas, Blue Ribbon Kanpai Garden, The Ribbon, Blue Ribbon Federal Grill, and Blue Ribbon at The Cosmopolitan of Las Vegas. WHEW … that’s a mouthful! So without further ado, let’s go drinking with Bruce and Eric Bromberg. Eric: Our Dad was an obsessed foodie and dragged us all over the planet in search of the next great meal! 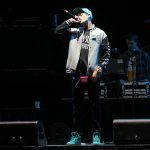 Bruce: Since I recently moved to Kona, Hawaii, I have been drinking a lot of cold brew. 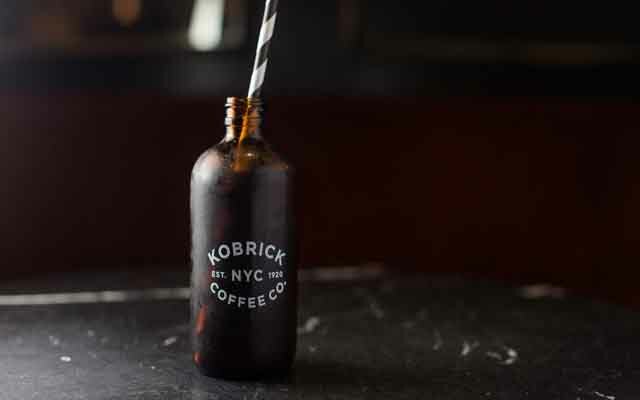 In NYC, our favorite spot is definitely Kobrick’s Coffee Bar in the Meatpacking district. Bruce: A jump in the ocean followed by a spicy breakfast! Blue Ribbon Brasserie is iconic classic for late night eats, but other than that, what is your favorite suggestion in NYC for after the bar “tipsy” eats? Eric: Never go anywhere else! What alcohol beverage would you pair with your legendary fried chicken? Bruce: A big red wine! Mario Batali turned me onto fine red wine and fried chicken at the bar at Blue Ribbon 25 years ago. Also, obviously any and all beers! What is your guilty pleasure drink? Bruce: When I am alone, I really like a good Roy Rogers. Bruce: When I was 13, some friends and I found a bottle of Wild Turkey in our mother’s liquor cabinet. Haven’t had another taste of it since. 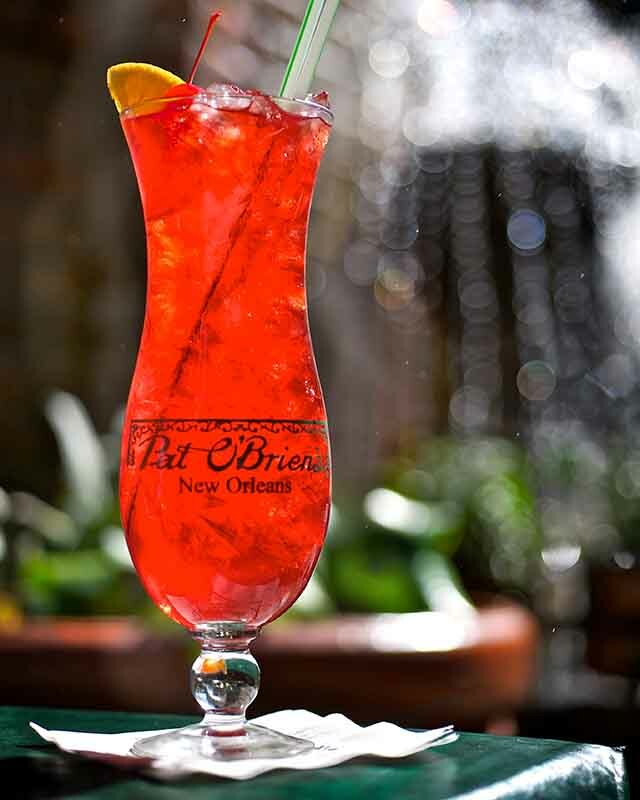 Bruce: A Hurricane at Pat O’Brien’s in New Orleans. 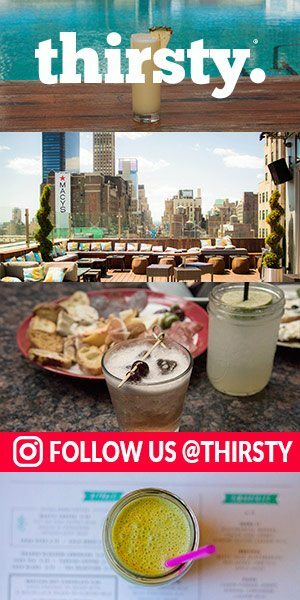 Favorite international city for drinks? Bruce: Amsterdam for gin and tonics. They take it to a whole new level. Eric: Blue Ribbon Downing Street Bar. Bruce: The Distinguished Wakamba Lounge. What is your favorite cocktail from any of your concepts right now? Bruce: A barrel-aged Amaro drink called the Country Lawyer at Blue Ribbon Federal Grill in FiDi. If you could have drinks with anyone, dead, alive or fictional, who would it be and what would you both be drinking? Bruce: A bottle of wine with Frank Zappa. Who is your favorite drinking companion? Are there any bars across the U.S. that are blowing your mind with their beverage program? 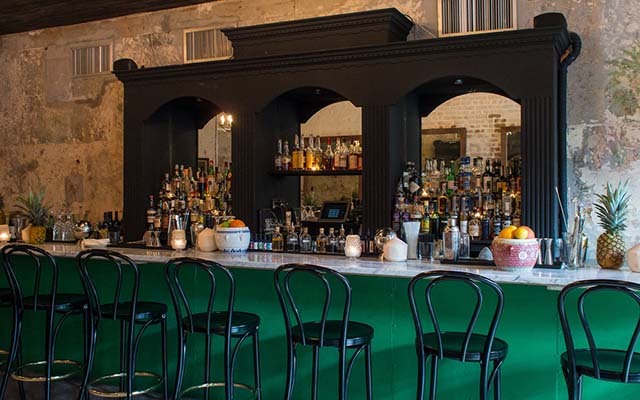 Bruce: Cane + Table and its sister spot, Cure, in New Orleans are both doing terrific things. 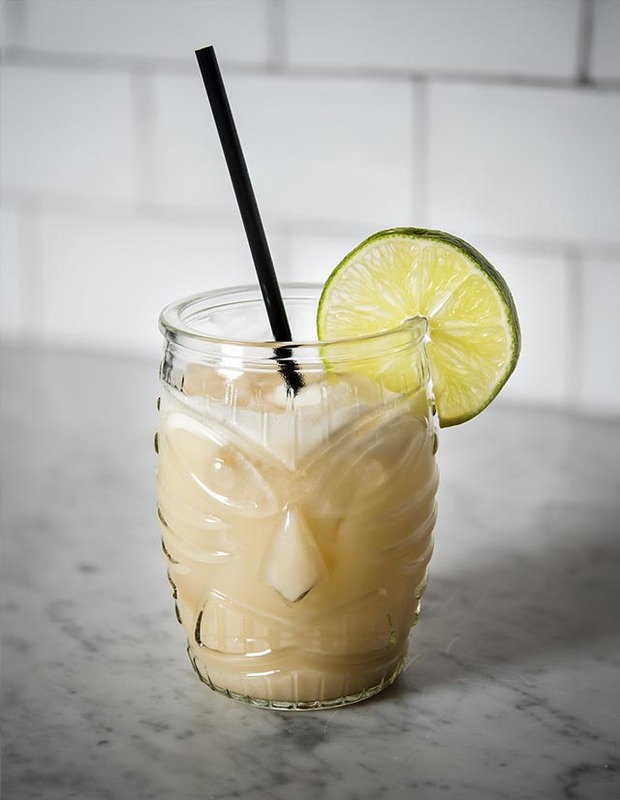 Cane + Table is a beautiful, modern tiki bar, whereas Cure feels a bit more like New York – elegant but comfortable. Advice for breaking into the hospitality industry? Bruce: Don’t try to make money. Try to make people happy. What do you look for in a bartender for the Blue Ribbon family? What are you working on right now across the Blue Ribbon family? 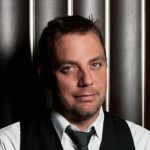 Eric: We are celebrating our 25th Anniversary of Blue Ribbon Brasserie in November, in addition to opening a new Blue Ribbon Fried Chicken in Las Vegas and also a new Sushi Bar in Rockefeller Center this summer.